March 31st Confessions of a Massage Parlor Madam is Back!! Everyone has their story to tell, their journey to share and their narratives on what has shaped them into the person they are today. 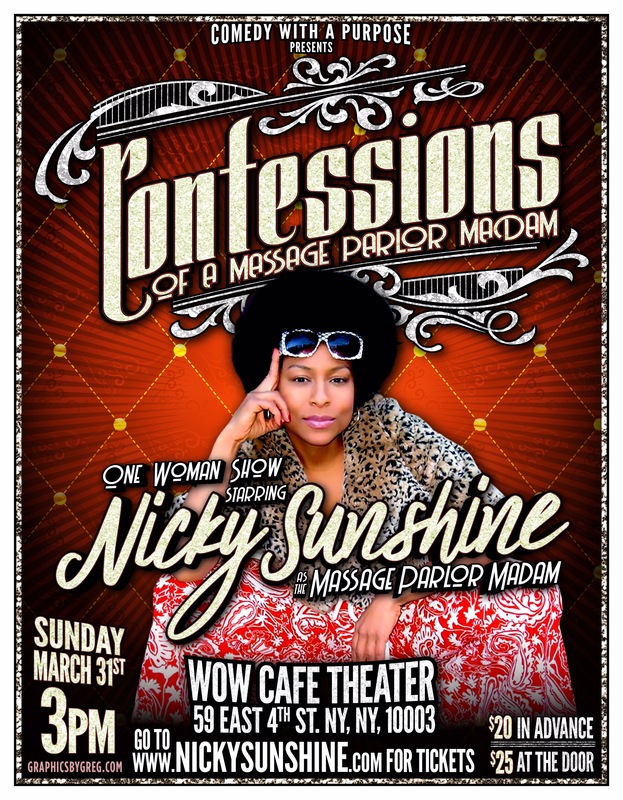 On Sunday March 31st, Nicky Sunshine gives her comedic Confessions of being a Massage Parlor Madam. With her last ten shows completely sold out, Nicky gives you a chance to get a live taste of what it is like to be a Massage Parlor Madam living in the Big Apple. Q&A to follow show moderated by special guests. Get your ticket today before this sells out! On March 1st come out and celebrate Her Spirit! Her Story! an evening of artistic appreciation for women’s history month. It will be a night filled with music, comedy, dance, poetry and more. 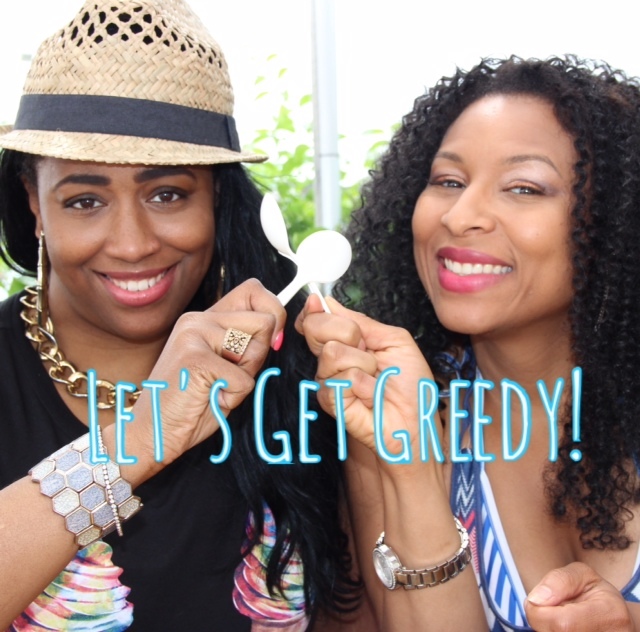 Complimentary snacks and after party. Get your ticket today before this sells out! Everyone has their story to tell, their journey to share and their narratives on what has shaped them into the person they are today. 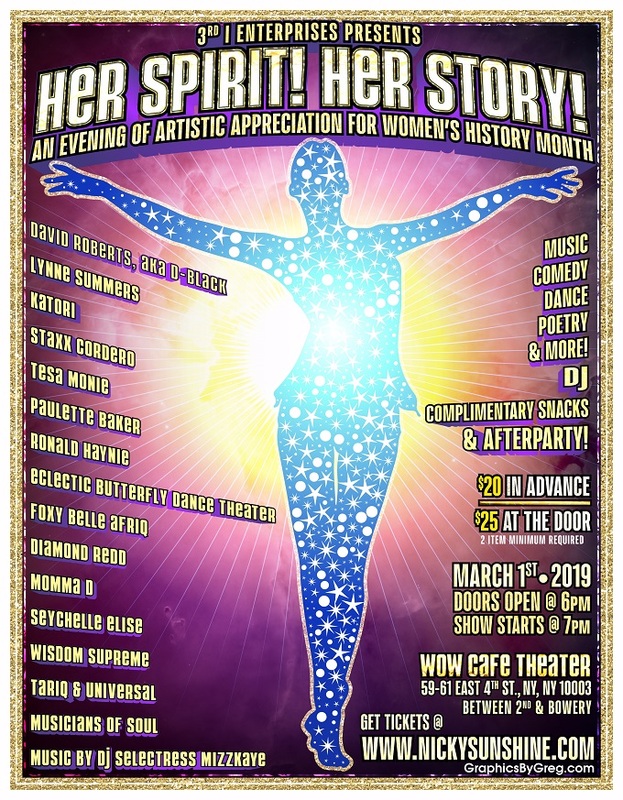 Throughout the month of February, Nicky Sunshine will performing 4 shows at the WOW Cafe Theater located on Theater Row in the East Village of Manhattan. With her last eight shows completely sold out, Nicky gives you a chance to get a live taste of what it is like to be a Massage Parlor Madam living in the Big Apple. Get your ticket today before this sells out! Links to each show is listed below.